Hello Linux Geeksters. As you may know, Numix Icon Theme Circle is an icon pack that contains round icons for the most popular Linux applications. 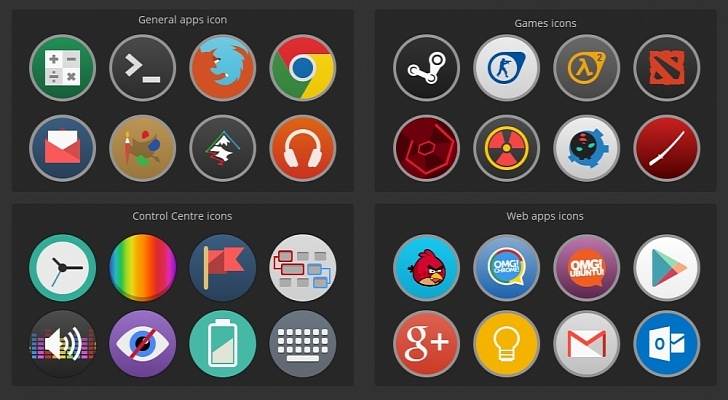 Numix Icon Theme Circle 0.2 has been updated yet again, coming with support for new icons. The Numix developers are constantly updating their icon themes, in order to add new icons and beautify the existing ones. In this article I will show you how to install Numix Icon Theme Circle 0.2 on Ubuntu 14.04 Trusty Tahr, Ubuntu 13.10 Saucy Salamander, Ubuntu 12.10 Quantal Quetzal, Ubuntu 12.04 Precise Pangolin, Linux Mint 16 Petra, Linux Mint 14 Nadia, Linux Mint 13 Maya, Elementary OS 0.2 Luna and derivative systems.